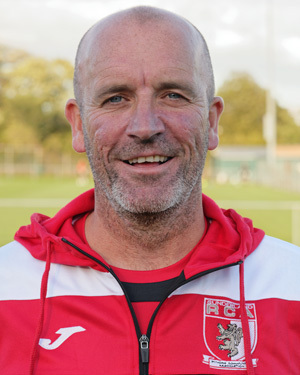 RCA's Assistant Manager, Gary Errington, looks forward to the Bridlington match. Here we are again and another Wembley dream starts for us at RCA. The FA Vase always brings great anticipation to the club and to the Northern League in general with the success of recent years. Today we welcome our visitors Bridlington to Meadow Park. We know they are going to be a very tough test for us today. The past few weeks have been have been a mixed bag for us where results are concerned. Losing a Ryhope derby was tough for us as it means so much to the boys and then another defeat to Shildon three days later put us in a situation where the next game was a must win for us. The leaders and great characters in the dressing room made sure that happened which then continued into the following game against a good Bishop Auckland side. These two victories set us up nicely for today’s game. The squad has a great togetherness and the dressing room is a good place to be with competition all over for the starting 11, which should stand us in good stead for what we want to achieve. But as the saying goes “one game at a time." Hopefully we can give the RCA faithful something to cheer about today with a good performance and us in the hat for the Second Round draw. I can promise everyone will give their all as anything else isn’t tolerated.